In actual life, my summer beauty routine does not differ too much from my routine the rest of the year, but I do make certain adjustments (and am curious to hear about yours in the comments). I like to go with a lip color that feels (and looks) a bit lighter than what I go for in the chillier months, and this Nars shade—called Golshan—is nice and bright with just the tiniest hint of orange. 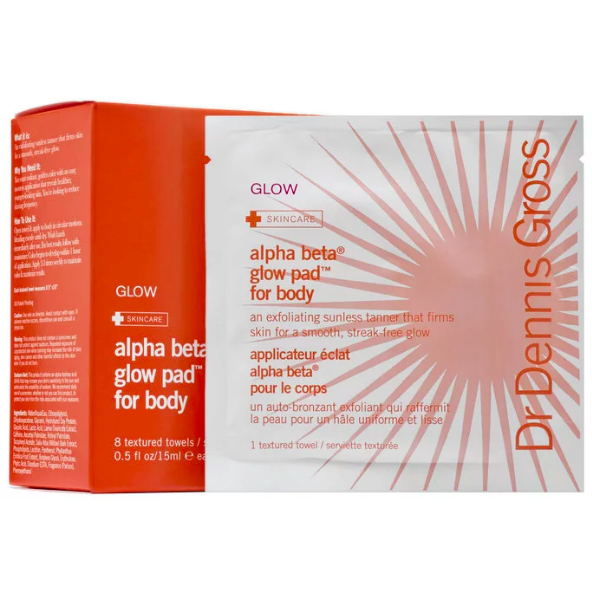 I splurge on these self-tanner towelettes because I think towelettes are a pretty fool-proof way to apply self-tanner—I always botch things up when I try to use lotion—and because they make my ghastly pale legs a convincing shade of dark. Tan Towels are also supposed to be pretty good, and they’re cheaper. There is nothing at all summer-specific about this cosmetic pencil sharpener, but I just discovered it, and it is far and away the best pencil sharpener I have ever used. It makes everything super-pointy, so you can draw really precise lines. Long-wear, waterproof eyeliner is essential once it starts getting all sweaty out, and this is the best one I’ve found. 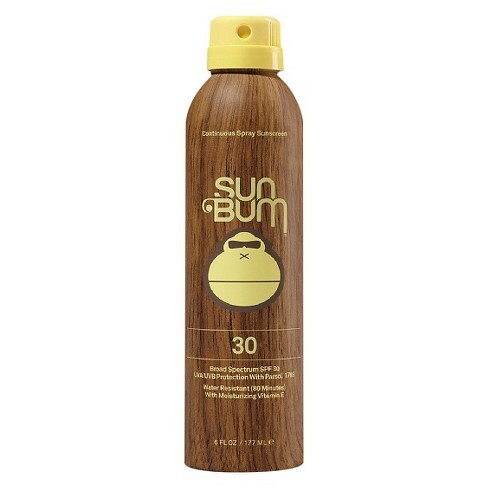 I like a sunscreen spray, and Sun Bum is my brand of choice because it stays put for a long time. 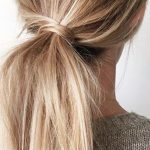 I can’t stand how it feels to have my hair down on really gross, humid days, so I pull it back in a twist with these hair pins that I have been using for as long as I can recall. I just ordered this bronzer, which was introduced last week introduced by Drunk Elephant, my favorite skincare brand. 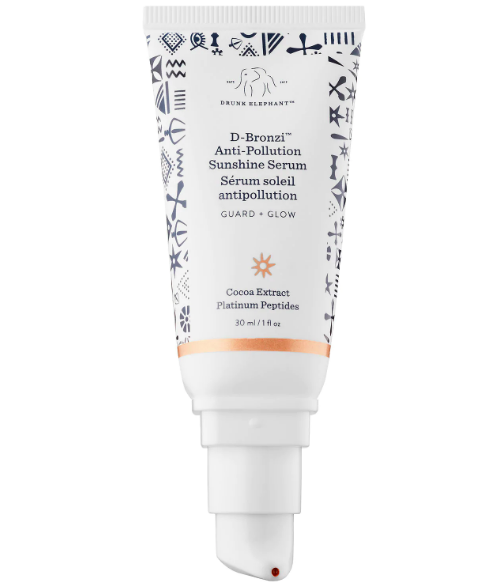 I can’t wait to try it, because it’s got all sorts of good-for-your-skin stuff in it, and because I just feel that Drunk Elephant wouldn’t introduce a bronzer unless it was a really good one. 30 Thoughts on What are your summer beauty essentials? I have used those GREAT hairpins for years and years. My long hair is thick and curly and these are workhorses, and stay put comfortably! Available on Amazon (your link) but a great thing to pick up in Europe, especially in Italy and other Mediterranean areas, at a great price. I have used those GREAT hairpins for years and years. My long hair is thick and curly and these are workhorses, and stay put comfortably! Available on Amazon (your link) but a great thing to pick up in Europe, especially in Italy and other Mediterranean areas, at a great price. I can’t make those work! I love them and I just can’t do it! I can't make those work! I love them and I just can't do it! Like you, Kim, my skincare/beauty regimen stays much the same winter or summer (of course winter in Austin is pretty much summer––hello climate change). I do try to use sunblock and broad-brimmed hats more consciously. I don’t get pedis often in the summer because of walking on the beach––sand just rubs polish right off! I am ADDICTED to Drunk Elephant products. All I’ve tried are sooooo good! And I learned about them here! Like you, Kim, my skincare/beauty regimen stays much the same winter or summer (of course winter in Austin is pretty much summer––hello climate change). I do try to use sunblock and broad-brimmed hats more consciously. I don't get pedis often in the summer because of walking on the beach––sand just rubs polish right off! I am ADDICTED to Drunk Elephant products. All I've tried are sooooo good! And I learned about them here! I found something even better than those hair pins! 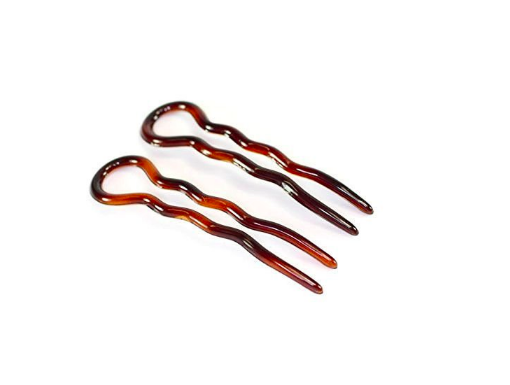 They are spiral hair pins and they do an amazing job holding up my thick, coarse hair. And they don’t leave a “mark” or “bend” in it if it’s damp. I try to have SPF everything. This lip color from Jane Iredale in Crush is the best! I love Jane Iredale lip color and stick blush. In the summer its just sunscreen, sunscreen and sunscreen. 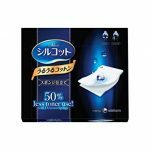 La Roche Posay tinted face sunscreen and Elta MD. The biggest changes to my routine are upgraded sunblock, and switching from liquid foundation to powder. In cooler weather I use Josie Maran’s Argan Oil moisturizer with sunblock but it’s too much once we’re out of the 50s and it doesn’t have enough SPF for summer so I switch to Neutrogena Healthy Defense SPF 50. And NYC is way to sticky for liquid foundation once it’s over 80 degrees so I switch from my beloved (d/c’ed!!) Shiseido liquid to the Laura Mercier powder foundation, topped with Bare Minerals Mineral Veil & spritzed with Evian (or other) mist. The biggest changes to my routine are upgraded sunblock, and switching from liquid foundation to powder. In cooler weather I use Josie Maran's Argan Oil moisturizer with sunblock but it's too much once we're out of the 50s and it doesn't have enough SPF for summer so I switch to Neutrogena Healthy Defense SPF 50. And NYC is way to sticky for liquid foundation once it's over 80 degrees so I switch from my beloved (d/c'ed!!) Shiseido liquid to the Laura Mercier powder foundation, topped with Bare Minerals Mineral Veil & spritzed with Evian (or other) mist. I have a weird bronzer issue. I stopped coloring my hair, and I’ve got a lot of silver at my crown. A few years ago a friends (who’s also a silver fox) had his hair was turned yellow by Clairns self tanner. This has scared me off self tanner. Is it still a thing? I have a weird bronzer issue. I stopped coloring my hair, and I've got a lot of silver at my crown. A few years ago a friends (who's also a silver fox) had his hair was turned yellow by Clairns self tanner. This has scared me off self tanner. Is it still a thing? Not sure if that’s still a thing, but you can easily take the yellow out of gray, silver or blonde hair with occasional use of a purple shampoo, so if you wanted to give it a try, that’s an easy fix. Not sure if that's still a thing, but you can easily take the yellow out of gray, silver or blonde hair with occasional use of a purple shampoo, so if you wanted to give it a try, that's an easy fix. I like the Tan towels…I keep some in a travel bag. I live in the deep South so my routine is pretty much the same year round (like the weather). I use Anthelios Posay Fluide Extreme (with Mexoryl)on my face and neck and SuperGoop hand cream (the only one I’ve found that doesn’t rub off on clothes or aggravate my psoriasis). I’m going to try the NARS pencil because my Chanel pencil is not waterproof and the NARS pencil has a great copper color. As for tanning, fake or otherwise, I’ve just given up and expose my white limbs. I live in the deep South so my routine is pretty much the same year round (like the weather). I use Anthelios Posay Fluide Extreme (with Mexoryl)on my face and neck and SuperGoop hand cream (the only one I've found that doesn't rub off on clothes or aggravate my psoriasis). 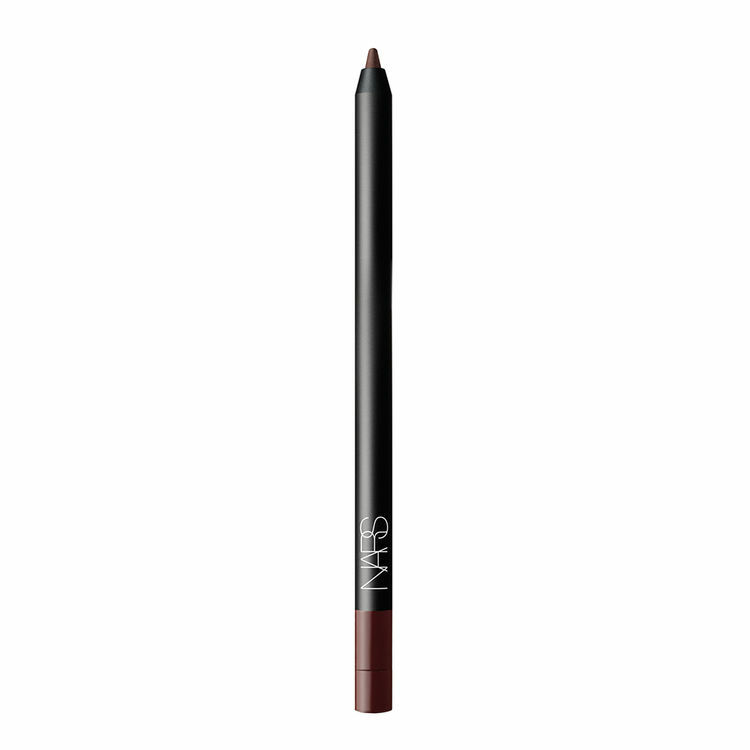 I'm going to try the NARS pencil because my Chanel pencil is not waterproof and the NARS pencil has a great copper color. As for tanning, fake or otherwise, I've just given up and expose my white limbs. I love the Supergoop hand cream! I’ve also been using the body lotion on my legs and arms for just walking around in the summer. I love the Supergoop hand cream! I've also been using the body lotion on my legs and arms for just walking around in the summer. After getting my facial brown spots laser-zapped a month ago (has anyone had this done and are you happy with the results? ), I’m using CeraVe facial moisturizer SPF 30 this summer to keep them from coming back. So far, the CeraVe doesn’t seem to make my face break out like some of the others. I may have to check out the Jane Iredahl lip balm. Unfortunately, like NARS, my beloved Clinique Chubby Stick has no SPF. After getting my facial brown spots laser-zapped a month ago (has anyone had this done and are you happy with the results? ), I'm using CeraVe facial moisturizer SPF 30 this summer to keep them from coming back. So far, the CeraVe doesn't seem to make my face break out like some of the others. I may have to check out the Jane Iredahl lip balm. Unfortunately, like NARS, my beloved Clinique Chubby Stick has no SPF. I’m a big fan of getting my brown spot zapped annually. It is year round sun where I live and the left side of my face gets bri=own from driving. I'm a big fan of getting my brown spot zapped annually. It is year round sun where I live and the left side of my face gets bri=own from driving. Darn. Thanks for the feedback Mary Alice. If you can, Gablesgirl … get the clear plastic film put on your car windows to block the UV. You can get no tint if you want – some people like the dark windows – but all of it should block the sun. If you can, Gablesgirl ... get the clear plastic film put on your car windows to block the UV. You can get no tint if you want - some people like the dark windows - but all of it should block the sun. I’ve had it done several times over the years and I’m happy with the results. It requires several days of downtime, though, if they really go at them. I've had it done several times over the years and I'm happy with the results. It requires several days of downtime, though, if they really go at them. My fave waterproof eyeliner is the Marc Jacobs one. Creamy, glides on and stays put. Love everyone’s responses! I live in SoCal and definitely change things up for the summer. Lighter foundation – Laura Mercier’s tinted illuminizer, summery scented sunscreen – Neutrogena 70SPF, ALBA spray sunscreen that I use as a body moisturizer because it smells like vacation and Essie Clambake on my nails (rather than Wicked). Lip wise, I do lighten up and generally opt for nudes (Stila Mocha is a fave)or Benefit’s Benetint. I’ve tried several self tanners and have come up empty for years. On a whim, I bought St. Tropez mousse (it was on the Today show!) and it really is a game changer. I use the mitt and it’s fast, easy, doesn’t stink and I can get dressed in a few minutes. Love it! Love everyone's responses! I live in SoCal and definitely change things up for the summer. Lighter foundation - Laura Mercier's tinted illuminizer, summery scented sunscreen - Neutrogena 70SPF, ALBA spray sunscreen that I use as a body moisturizer because it smells like vacation and Essie Clambake on my nails (rather than Wicked). Lip wise, I do lighten up and generally opt for nudes (Stila Mocha is a fave)or Benefit's Benetint. I've tried several self tanners and have come up empty for years. On a whim, I bought St. Tropez mousse (it was on the Today show!) and it really is a game changer. I use the mitt and it's fast, easy, doesn't stink and I can get dressed in a few minutes. Love it! Sunscreen, sunscreen and sunscreen. I always buy the Sephora sunblock sampler and work my way through it. So far my favorite is Dr Jart Cicapair. Otherwise, I use a matte primer on my noise, which always becomes liquid with oil in the heat, and ty even harder to remember to wash everything off in the evening. My hair is curly and thick but fine, so the hairpins don’t work–I just clip everything up or use a scrunchie. Sunscreen, sunscreen and sunscreen. I always buy the Sephora sunblock sampler and work my way through it. So far my favorite is Dr Jart Cicapair. Otherwise, I use a matte primer on my noise, which always becomes liquid with oil in the heat, and ty even harder to remember to wash everything off in the evening. My hair is curly and thick but fine, so the hairpins don't work--I just clip everything up or use a scrunchie. That NARS pencil sharpener really works, and with a lot of brands. Oddly enough, many makeup pencils are designed to work only with their own brand of sharpener. 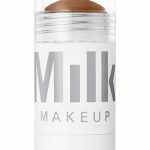 When I worked as a freelance MUA, this was everyone’s favorite! My favorite summer products are LaRoche-Posay Tinted Mineral Sunscreen for my face because it gives me a little color, my skin looks great in it and I never burn! My other fave is bright toenail polish – hot pink, orange or red. It just feels right. And a bright lip. I just ordered the new ltd edition color, Violet Fury by Kosas and I can hardly wait for it to arrive! 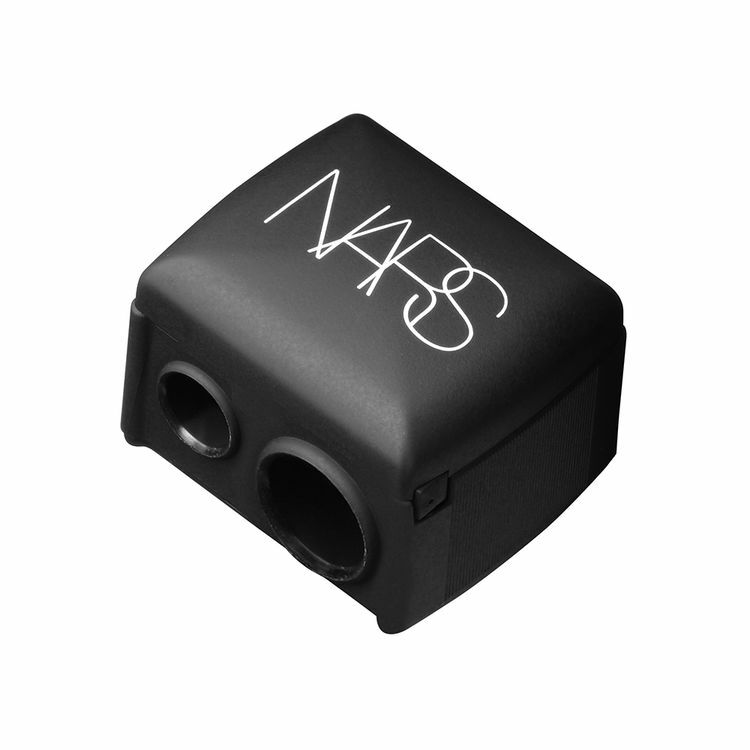 That NARS pencil sharpener really works, and with a lot of brands. Oddly enough, many makeup pencils are designed to work only with their own brand of sharpener. When I worked as a freelance MUA, this was everyone’s favorite! My favorite summer products are LaRoche-Posay Tinted Mineral Sunscreen for my face because it gives me a little color, my skin looks great in it and I never burn! My other fave is bright toenail polish - hot pink, orange or red. It just feels right. And a bright lip. I just ordered the new ltd edition color, Violet Fury by Kosas and I can hardly wait for it to arrive! Thanks Ceejay. I’ll look into that. My spots are lighter but not really gone. I’m not a huge make up wearer, but NARS The Multiple tint in Malibu looks amazing with a light tan. That’s it for my make up. I switch out my moisturizer for something lighter. Pratima’s Neem Purifying Cream is perfect and smells amazing. I also love a good rose scent for summer. Mullein & Sparrow’s Rose Body Oil is the perfect light rose fragrance and is pretty cheap for a perfume ($24). Other than that, I always get a collar bone-length, long shag with bangs in the summer. It is a good mix of easy yet stylish. I’m not a huge make up wearer, but NARS The Multiple tint in Malibu looks amazing with a light tan. That’s it for my make up. I switch out my moisturizer for something lighter. Pratima’s Neem Purifying Cream is perfect and smells amazing. I also love a good rose scent for summer. Mullein & Sparrow’s Rose Body Oil is the perfect light rose fragrance and is pretty cheap for a perfume ($24). Other than that, I always get a collar bone-length, long shag with bangs in the summer. It is a good mix of easy yet stylish. One thing I can’t live without in the summer is Friction de Foucaud body lotion (my neighborhood pharmacy stopped carrying it, but I found it online) . It’s really more of a body splash than a lotion in that is isn’t heavy, viscous or greasy at all. I think it’s more along the lines of what I think Jean Naté was back in the day. . . It has a lovely clean, fresh smell and is amazingly cooling. I shower at night and then splash this all over before getting into bed, and it’s amazing how cool and fresh and silky I feel! One thing I can't live without in the summer is Friction de Foucaud body lotion (my neighborhood pharmacy stopped carrying it, but I found it online) . It's really more of a body splash than a lotion in that is isn't heavy, viscous or greasy at all. I think it's more along the lines of what I think Jean Naté was back in the day. . . It has a lovely clean, fresh smell and is amazingly cooling. I shower at night and then splash this all over before getting into bed, and it's amazing how cool and fresh and silky I feel!